Co-Codamol is an analgesic which is used to relieve pain. It is available in the form of capsules, tablets and effervescent tablets. It is also known as Codipar, Paracodol, Kapake, Solpadol, Tylex and Zapain. Co-Codamol is a combination of Paracetamol and Codeine which are painkillers. This tablet is taken to stop pain of any type. Depending on the amount of codeine in the preparation, different strengths of the medicine is available in the market. The amount of paracetamol remains the same in all three variants while the amount of codeine is different. Muscular pain, nerve pain, toothache and period pain which may not be relieved by paracetamol alone, may require Co-codamol. Combination painkillers do not always give the best results in pain control, so it becomes difficult to control the dosage for the level of pain without increasing the risk of side effects. For this reason, doctor might not prefer prescribing combination pain killers. They can, however, be of help when a large number of tablets need to be taken in a day. It is very important that the doctor who is prescribing this medicine to you is aware of your entire medical history. It is not suitable for everyone and should not be taken by some people. Special care should be taken when taking this medicine. History of allergy or sensitivity or reaction to any ingredient present in the medicine. Are under the influence of alcohol. Have bowel issues, head injuries or high intracranial pressure. Have prostate problems, respiratory depression, or had biliary tract surgery. Have problems in metabolisation of medicines or have taken monoamine oxidase inhibitors in the last 14 days. Are below 18 years of age, has respiratory problems or undergone tonsillectomy, adenoidectomy. Co-codamol can become unsuitable for some people over a period of time or people might become unsuitable to take the medicine. If this happens, the doctor should be consulted immediately. Ensure that you read the information leaflet given along with the medicine pack. The leaflet will contain information about the particular brand of co-comadol and list of possible side effects as well. The medicine should be taken exactly as prescribed by the doctor. The dosage will be mentioned on the label of the pack. The doctor will inform you how much and when to take the medicine. 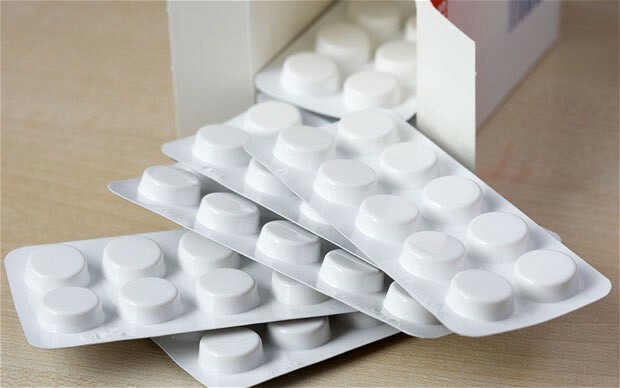 The maximum number of Co-codamol tablets that can be taken in 24 hours is 8 tablets. You should not exceed this. Usual dose for adults is one or two tablets every 4-6 hours. There should be a gap of 4 hours between every dose. Effervescent tablets should be dissolved in a glass of water before taking. Co-codamol can be taken before or after meals. If you happen to miss a dose, take it when you remember or when you need relief from the pain. Never take 2 doses together to make up for a missed dose. Do not take more than the prescribed amount of tablets. If anyone has ingested higher dosage, take them to the ER immediately along with the medicine container, so the doctor is aware of what is consumed. The medicine should be stored in a cool, dry place, away from exposure to direct heat and light. Medicine should be kept out of sight and reach of children. What Should Be Noted When Taking Co-Codamol? Codeine can be addictive if taken for a long time. If you stop the medication, it can cause restlessness or irritability. You can discuss with your doctor or pharmacist if you have concerns about this. The medicine should not be taken for longer than 3 days. If you find that your symptoms have worsened or remain unchanged, you should contact your doctor. Never share medicine or self-medicate. What is suitable for you may not be suitable to others. If you are taking Co-codamol, you should not take any other medication containing paracetamol. Various OTC medicines for pain, cold and flu contain paracetamol. You should check the contents of the medicine and consult the pharmacist if the medicine can be taken along with Co-codamol. Co-codamol can cause drowsiness, so you should not drink alcohol when taking this medication. Combined effect of both can increase drowsiness. Repeatedly taking this medicine during pregnancy can cause the baby to become addicted to the drug. The baby will develop withdrawal symptoms after birth. You should discuss with your doctor about the overall risks and benefits of taking the medicine during pregnancy. Breast-feeding women should avoid this medicine. Any other side effects experienced should tell your doctor. Given below are some of the side effects of taking Co-codamol. Are There Any Medicines That Can Interact withCo-Codamol?